TOKYO - The Japanese government will confer the People's Honor Award on two-time figure skating Olympic gold medalist Yuzuru Hanyu, its top spokesman said Friday, making him the first figure skater to receive the honor. Chief Cabinet Secretary Yoshihide Suga told a press conference that the presentation ceremony will be held on July 2 in Prime Minister Shinzo Abe's office. Suga said the government appreciated Hanyu's "historic achievement" that "gave dreams and thrills to the people and hope and courage to society." "It is an undeserved honor to be given such a prestigious prize. 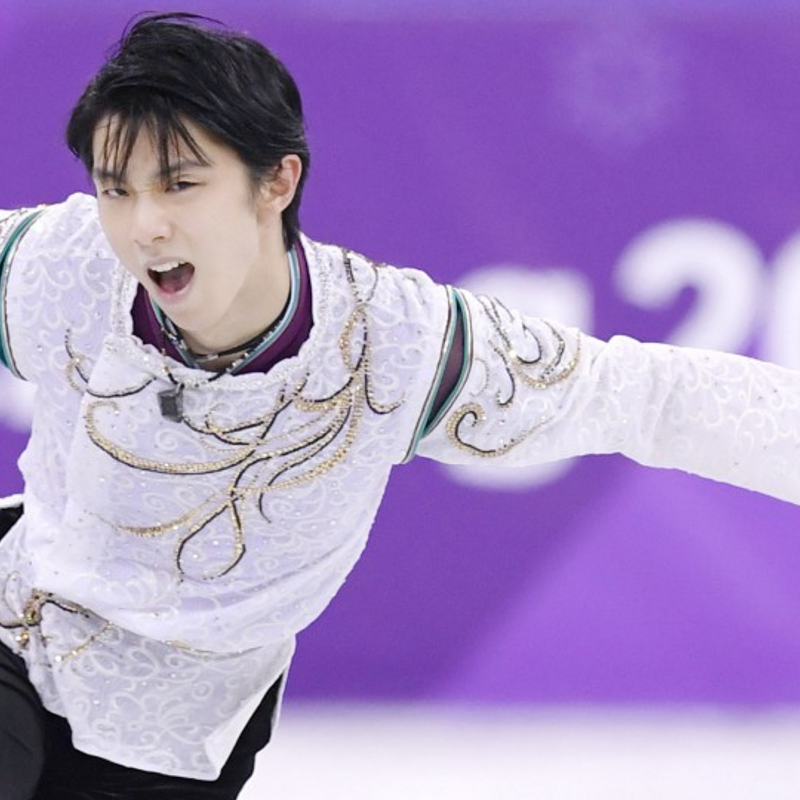 I hope this will be a bright light to the disaster-hit area and the skating world," Hanyu said in a statement, referring to northeast Japan devastated by the 2011 massive earthquake and tsunami. He hails from Sendai in the region. The 23-year-old star skater will be the youngest individual to receive the award. Hanyu became the first male figure skater in more than six decades to win consecutive Olympic gold medals when he took gold at South Korea's Pyeongchang Winter Games in February, despite injuring his right ankle last November. The Toronto-based skater became the first Japanese male skater to win gold at the 2014 Sochi Games in Russia. He has also won two world championship golds and four Grand Prix Final golds. Hanyu, who started skating when he was 4 years old, has faced a number of challenges in his life, including having to evacuate his home after the magnitude 9.0 quake and tsunami seven years ago. In April, more than 100,000 fans took to the streets in downtown Sendai to watch his victory parade. Kazuya Igarashi, 72, who was the staff adviser to the figure skating club at Sendai's Tohoku High School when Hanyu was a student, hailed the news, saying, "This is the result of strong luck, effort and patience that made it possible for him to overcome his injuries and show performances that were super-human." Established in 1977, the People's Honor Award has been given to 25 individuals and one group for their achievements in sports, entertainment and culture. Other Olympic gold medalists to have received the award are judoka Yasuhiro Yamashita, wrestlers Saori Yoshida and Kaori Icho and marathon runner Naoko Takahashi.